With more than 30 years of experience in orthodontic care, Orthodontic Specialists of Florida is your home for braces and Invisalign®. Our experienced orthodontists are specialists in their field, and Dr. Durrett values the trust you place in him. He works closely with you to develop an individualized treatment plan that fits your needs and budget. Our staff provides you with excellent customer service and welcomes you as part of our patient family. 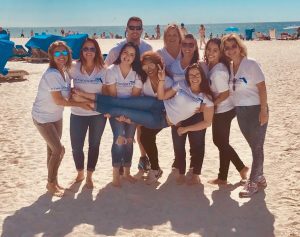 Orthodontic Specialists of Florida offers financing options from CareCredit® and other lending partners, and we are happy to help you with the pre-qualification process. We offer silver, gold (24ct gold plated), clear and ceramic braces, as well as Invisalign®, at our Palm Harbor, Florida office.